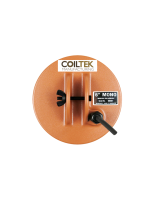 This 10"x5" coil for the CTX 3030 utilised the success of the 10x5 coil for the Gold hunting machines and applied similar results to the coin and relic hunting units. 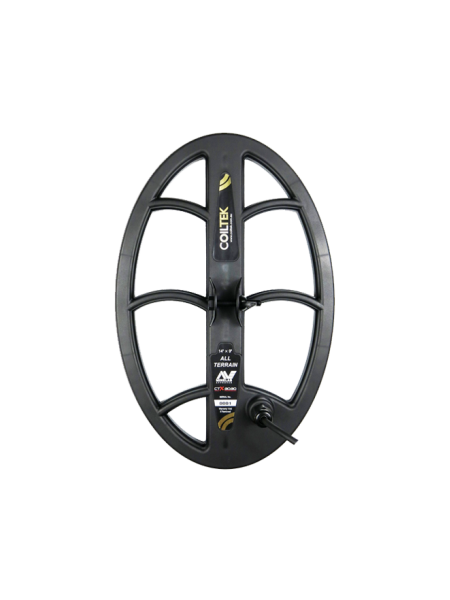 The size and shape of this coil makes it an excellent option for any terrain - whether at the parks, playgrounds, fields, woods, even old homesteads plus beaches and shallow streams as it is filly waterproof. 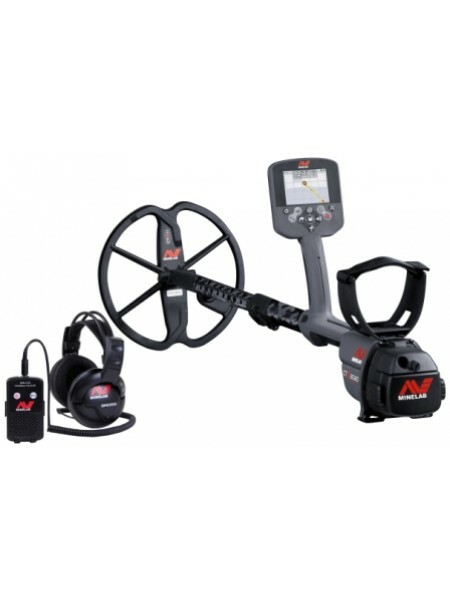 It has excellent maneuverability for tight areas, is ultra light weight, and improved windings make it a hot performer! The coils performance is complemented by the tight magnetic field the elliptical coil produces which improves the sensitivity and target separation. With this smaller sized coil, the depth capabilities are not as good as its larger counterparts but you might be surprised with its abilities when swinging. 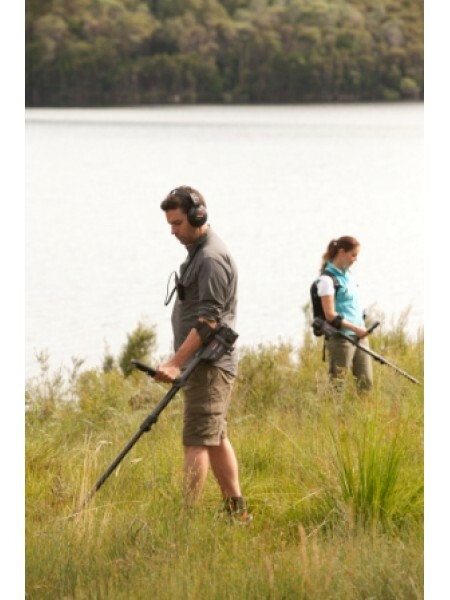 It is very easy to maneuver around obstacles and will feel like a breeze to use. 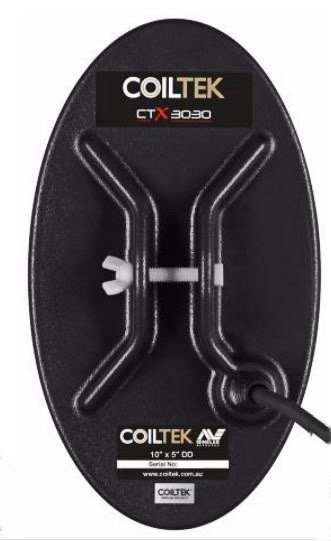 The coil is FULLY WATERPROOF so wet situations are no problem for you and your CTX 3030! The housing is made from strong ABS plastics, which ensures the coils durability. When working with this small coil, remember to swing slowly as sometimes these smaller coils make the operators swing faster to cover the ground, but this acts against the coils abilities. Also remember to keep the coil close to the ground as being small it doesnâ€™t have the penetration like its larger counterparts. Pinpointing is a lot easier with this smaller coil so just work your way up to the target from different directions and you will ensure you get accurate location for fast retrieval. 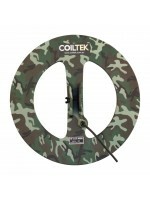 Feel confident - Coiltek has a 2 year warranty on all coils. Register your coil vial the coiltek and you will receive a confirmation email with the registration details. This needs to be kept as well as proof of purchase for any warranty claims. 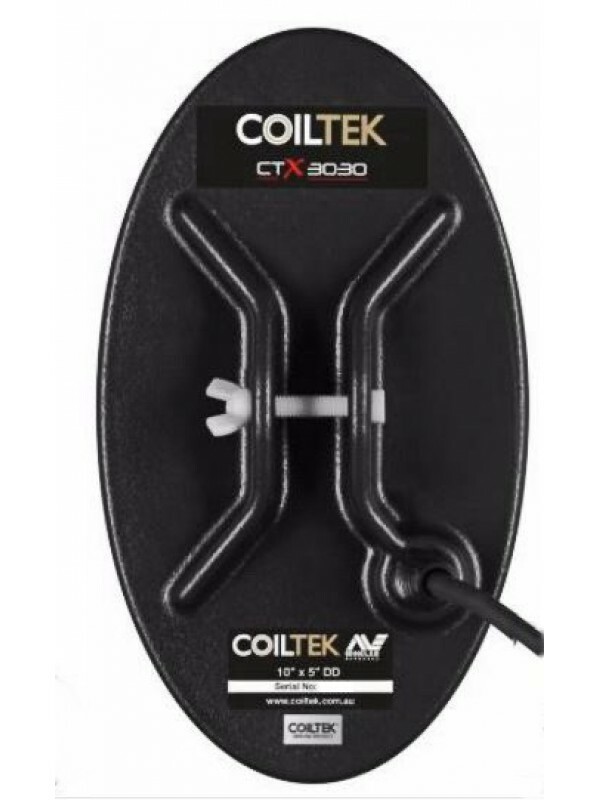 CTX 3030 - Minelab's Flagship Treasure Metal Detector Fall 2019 Special!Get a FREE 17"x13" DD coil with your CTX 3030 purc..
Coiltek 14" x 9" Coil For the Minelab CTX 3030 This new open web elliptical coil is an exciting addi..